Jakarta, Indonesia — Navy divers have located the cockpit voice recorder of a Lion Air jet that crashed into the Java Sea in October, Indonesian officials said Monday, in a possible boost to the accident investigation. 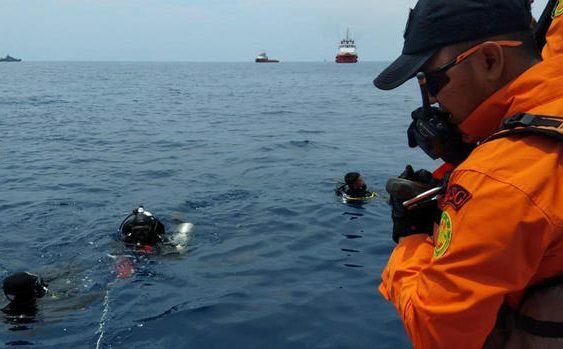 Ridwan Djamaluddin, a deputy maritime minister, told reporters that remains of some of the 189 people who died in the crash were also discovered at the seabed location. “We got confirmation this morning from the National Transportation Safety Committee’s chairman,” Djamaluddin said. A spokesman for the Indonesian navy’s western fleet, Lt. Col. Agung Nugroho, said divers using high-tech equipment found the voice recorder beneath 8 meters (26 feet) of seabed mud. The plane crashed in waters 98 feet deep. The cockpit data recorder was recovered within days and showed that the jet’s airspeed indicator had malfunctioned on its last four flights.